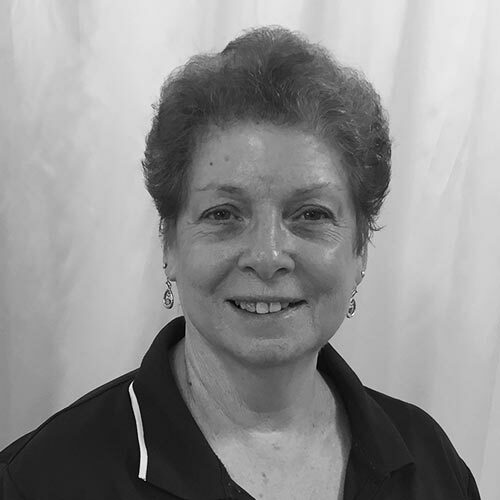 As the Principal of The Ann Roberts School of Dance, Jane Pirani leads a team of dedicated and talented teachers to deliver the very best dance instruction possible. Joining Jane in managing the school is her husband André. Jane's mother, Ann Roberts founded the school in 1957, and Jane trained at the school prior to leaving Townsville to study fine art at University. She is the mother of two adult children; Emmanuel and Isabelle, both of whom have developed their own careers in performing arts. After completing her degree in fine arts, Jane become a professional dancer in France, where she worked for two years with Maggi Sietsma who went on to direct Expressions in Brisbane for 25 years. It was in France that she met her husband, André. ​After returning to Australia, Jane taught dancing at The Ann Roberts School of Dance and in 1986 founded Extensions - the youth link to Dance North. 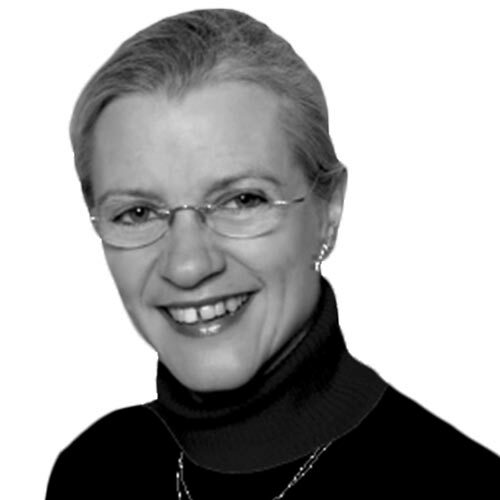 Jane was Artistic Director of Extensions for eleven years before taking on the role of Artistic Director of Dance North in 1997, a position she held for eight years. During this time, Jane took the professional dance company to a national and international stage with new works produced each year by herself and guest choreographers. She worked collaboratively with other choreographers, producing unique works including Luuli and performed with the Lardil dancers from Woomera Aboriginal Islander Corporation, Mornington Island. This production toured across the top of Australia, regional Queensland and capital cities over three years. 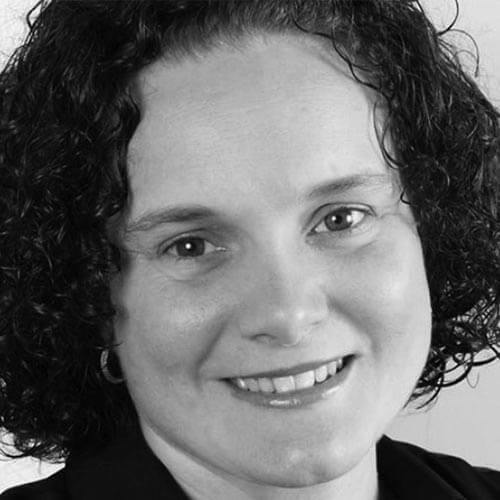 Jane has worked as a freelance choreographer before and after her time with Dance North. She has choreographed works for New Zealand School of Dance, Queensland Institute of Technology, Queensland Dance School of Excellence, Expressions, Queensland Ballet, Adelaide Centre for Performing Arts and Buzz Dance Theatre. Her experience also includes work with young performers creating large scale productions that have toured Adelaide, Perth, Townsville, Brisbane, Xian City, China and Aberdeen, Scotland. In addition she has directed large scale community events such as VP50 where she worked with 650 school children to create a lantern extravaganza for the closing celebrations. In 2007 Jane and André began Ulysses Dancers in memory of her mother who founded the school and loved butterflies. Ulysses have now produced 10 major works performed at Riverside Arts Centre. They toured to Scotland in 2015 for the International Youth Festival and they will return this year in 2018 taking the production of Blue Worlds. Jane has nurtured many students who have gone onto professional careers in the performing arts sector, and many who have held dance close to their heart after their time with the school. She is particularly proud of The Ann Roberts extended dance school family who are now returning with their children and their children's children to pass on the love of dance. André leads the commercial and production operations of The Ann Roberts School of Dance alongside his wife, Jane Pirani. Together they have two adult children; Emmanuel and Isabelle, both of whom have developed their own careers in performing arts. Prior to moving to Australia, André trained as an engineer in his native country, France. He worked in the field for several years In France and Africa in the Sudan. During his student days Andre spent all of his spare time designing, making and operating puppets. This grand passion took over and transferred itself into the theatre where he began a new career as a lighting designer in his late twenties. It was during this time that he worked in the same company as his future wife, Jane Pirani. In 1982 André became an Australian resident and added another skill to his portfolio - theatre design and construction which he continues to do to the present. His first commissions included lighting design for the North Queensland Ballet (now Dance North), set design for The Music Man at the Civic Theatre and set and lighting design for the Ann Roberts School of Dancing. André has designed over seventy works for performing arts organisations including the Choral Society in Townsville and Cairns, North Queensland Opera and Music Theatre, Dance North, Extensions, Seaview Steak, Trellis of Lizards, New Moon Theatre Company, Expressions in Brisbane, REM in Sydney, Tropic Line, Hard Sun, Theatre INQ and the James Cook University theatre department. 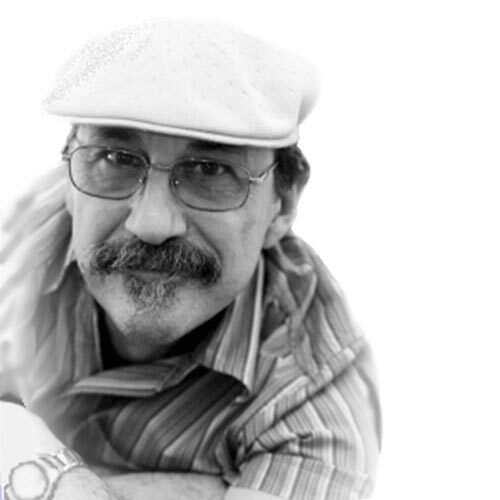 In addition to set and lighting design, André designs costumes, mascots and puppets. These have included the Recycling Alien Baggit for the Townsville NBL Crocs, Captain Catastrophe, Jabberwocky, Fred the Frilled Neck Lizard for the NQ Games, Penguin for the Warrina Ice Skating Rink, Aslan the Lion from the Lion, the Witch and the Wardrobe and the animal heads from Alice in Downunderland are but the tip of the iceberg of Andre’s creations. Since 2005, André and his wife Jane have owned and managed the Ann Roberts School of Dancing. André manages the administration of the school and all production aspects. Andre’s experience in the theatre is vast and comprehensive so he is an ideal leader to nurture and promote the arts industry in Townsville. André believes that a diverse performing arts culture strengthens the cultural identity and practice of young Australians. Our staff have a broad range of teaching experience in a wide variety of dance forms, and a genuine interest and concern for all of our dance students. Knowledge and experience is passed onto our students, whilst promoting a spirit of cooperation and friendliness both in the classroom and outside the studio. Our teachers stay abreast of the developments in Dance by regularly attending seminars and performances. Our school currently has a teaching staff of eighteen and four assistants. As well, we have three office co-ordinators and a manager. The school employs specialist guest teachers regularly. Debbie’s journey with the Ann Roberts family began at the age of six when she commenced learning ballet at a small church hall in Currajong. It was there she met Miss Roberts, a lady who opened up a world and a pathway that would play a major role in her future. ​Moving to the city studio in Sturt Street, Debbie was introduced to tap and modern and when she was 12 the current studio in Fletcher Street was built and it was there that Debbie finished her student studies in ballet, tap and modern. One of the founding members of the North Queensland Ballet Company, Debbie danced for 10 years with the company. Encouraged to take up a career in teaching she went on to achieve an Advanced Teachers Certificate in tap and modern with the Federal Association and after further study, an Advanced Diploma in ballet with the Royal Academy of Dance. In 1975 Debbie furthered her studies in dance at the Joffrey Ballet and Alvin Ailey schools in New York and achieved the Queen Elizabeth II Silver Jubilee Award for young Australians to further studies overseas. Debbie has had the pleasure of seeing her two daughters Deanne and Penny become teachers in their own right at the studio. Miss Roberts taught both the girls and would be so proud to see them passing on the passion that she instilled in them... and us all! Born in Townsville, Ann was the first student enrolled at the "new" Ann Roberts Studio in Fletcher Street. Studying Classical Ballet, Jazz, Tap, Highland and Irish dancing under the experienced direction of Ann Roberts, Ann also attended Ballroom classes as a teenager for recreation. Working with professional guest choreographers was the highlight of the 6 years Ann performed with the NQ Ballet and Dance Company which toured to numerous regional Queensland towns. ​Ann also performed in many musicals with the Townsville Choral Society. 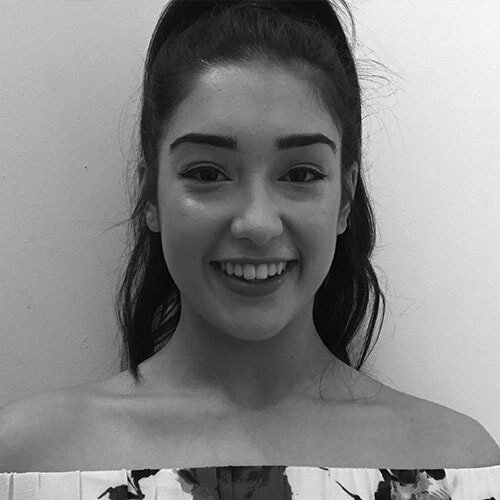 Holding Advanced teaching qualifications in Tap and Jazz with the ADA, Ann enjoys teaching young students and watching them grow to become confident and capable young adults. 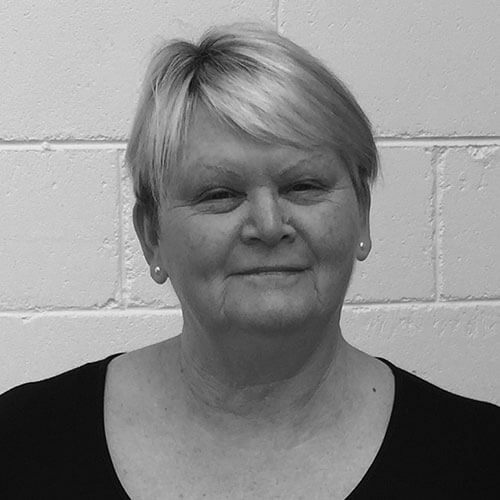 Alison started dancing at Ann Roberts School of Dancing in 1962 at the age of 6 at the Latchford Street studios. The following year she sat for her primary ballet exam and began modern (jazz) and tap. From there Alison sat for all her exams in all disciplines all the way through to advanced 2. In 1969 Miss Roberts founded the North Queensland Ballet & Dance Society (now Dance North) to which Alison was accepted as a founding member. Alison continued to dance with the company for the next 10 years performing in such classics as Swan Lake, Giselle, Les Sylphides, Pas de Quatre working with guest artists from the Australian Ballet Company. Alison then moved to Melbourne in the 80’s where she taught all three disciplines and sat for her teachers exams in C.S.T.D. before opening her own school – Alison Tierney School of Dance. 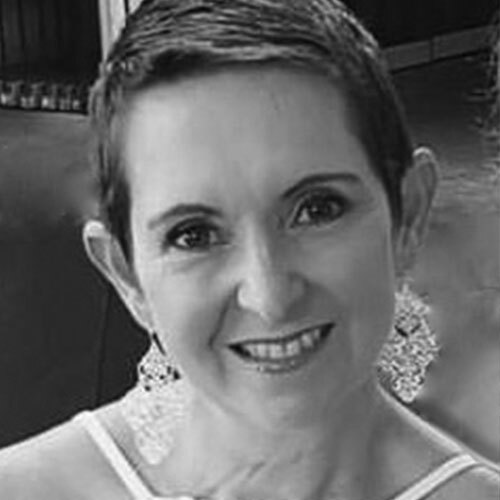 In 1994 Alison returned to Townsville to take up a teaching position with the studio and has since been teaching ballet and jazz. For the last two years Alison has been teaching a heels cabaret class and now coordinating the Shaughnettes. Leoné started dancing at the age of 6 and has studied ballet, highland, irish, jazz and tap. highland dancing became her passion and she went on to gain her elementary, intermediate and advanced NDAA teaching certificates. 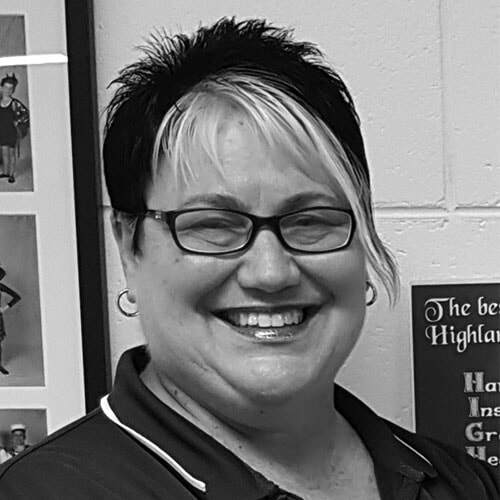 Leoné delights in promoting highland dancing in our region and she is honoured to have been granted life membership of the Townsville Highland Dancing Association Inc.
Born in Townsville, Kylie trained with the Ann Roberts School of Dancing. Kylie is passionate about Townsville’s strong arts community and in the development of the creative voice within young people. She holds Advanced RAD and teaching qualifications – Advanced ADA and teaching certificate RAD and a BA Education James Cook University. Kylie’s dance training includes classical, contemporary, jazz, tap and competition ballroom. Over the past twenty years Kylie has worked in the dance industry within the Townsville region. Kylie has worked on numerous and diverse productions such as Boy From Oz, we Will Rock You, Chicago, Cabaret, Sweeney Todd, Titanic, Cats, Saturday Night Fever to name a few. Kylie directed Oliver! for NQOMT in 2015, directed and choreographed Hot Shoe Shuffle and co-directed Rock of Ages in 2016. In 2018 Kylie directed Strictly Ballroom. Kylie loves teaching dance and helping young people strive to achieve their goals in dance. Jess has been teaching at The Ann Roberts School of Dance since 2009. She grew up in Ingham and learnt at the local dance school from the age of 3. 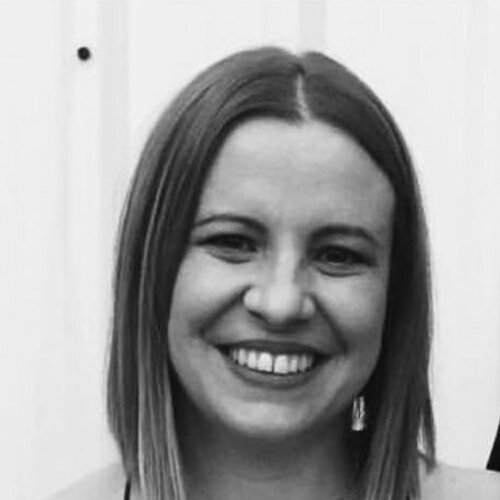 Jess was very interested in dance teaching and this prompted her decision to move to Townsville to further her teaching skills. Since then she has sat many exams in ballet, jazz and tap, performed in annual concerts, Ulysses performances and danced for the Fire basketball team. Jess currently holds her elementary and intermediate teaches in jazz and certificate 3 in Child Care studies. The best thing she loves about teaching is seeing the joy on the children’s faces when they come into the studio and creating special bonds with the students and families. It seriously is the best job in the world says Jess! Apart from teaching Jess takes care of her two little boys Paysen and Will and her husband Jared, keeping life very busy. Melissa began dancing at the Ann Roberts School of Dance at the age of 6. She completed exams in tap, modern and classical ballet and completed her FATD Modern Teachers Exams in 1999. 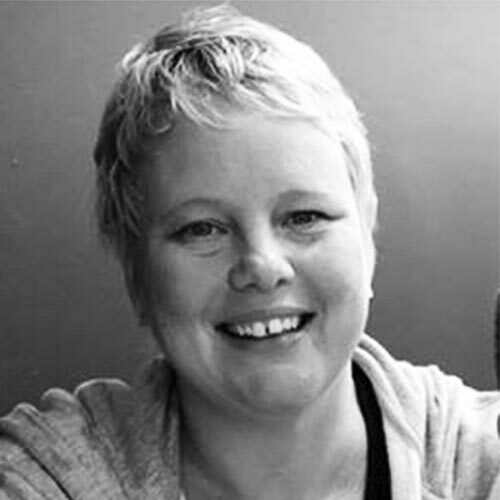 Melissa was a member of Extension Youth Dance Company from 1994- 1998 and travelled to various interstate dance festivals including the Aberdeen International Youth Festival in 1998. In the year 2000 Melissa began competitive ballroom dancing and competed successfully in the amateur and professional field for 16 years. She currently owns ‘Dancensations’ ballroom studio, teaching ballroom, latin American, new vogue and wedding dance lessons. ​Jasmin started dancing at the age of 5 learning in Ayr and began teaching in Ayr in 2013. In 2016 she started at Ann Roberts teaching ballet, contemporary, jazz, song and dance and hip hop. 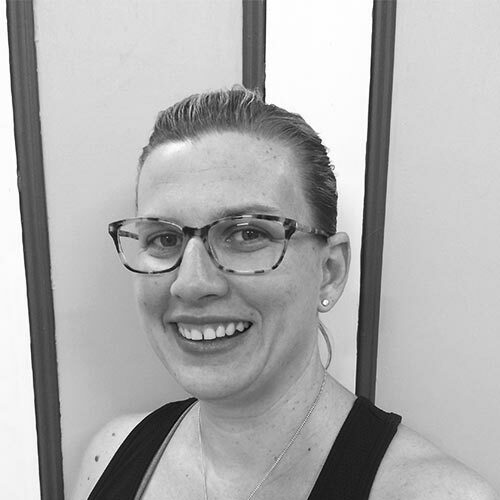 Jasmin is qualified in her RAD CBTS ballet teachers and is a registered teacher with the RAD, as well as being a qualified pilates instructor. ​Jasmin is also a senior member of Ulysses Dancers and will travel to Aberdeen in July for the International Festival. Chris originally studied dance in his formative years in Brisbane at Southern Academy of Dance under Sandra Breen. He studied tap, jazz and ballet before graduating high school and completing a double Bachelor’s Degree (BA/Bed) at QUT. There he studied contemporary dance as well as ballet, tap, jazz and folkloric dance. He performed with Diana Laska Moore’s World Dance Company in Brisbane in 2000 as well as performing at Groucho’s Theatre Restaurant for 3 years as a singer/dancer entertainer. Chris was also one of the founding members of the tap dance group, Raw Metal (now known as Raw Dance Company). ​Since moving to Townsville to teach as a specialist High school Dance and Drama teacher in 2001, he has been involved in the local Arts community through choreographing and performing in various musicals for both NQOMT and the Townsville Choral society. Deanne first started dancing with the Ann Roberts studio at age 3 and continued through to RAD Advanced 2 ballet. Her studies also included jazz, tap and contemporary. She further pursued her love of dance by studying a Diploma of Dance at QUT, Brisbane. Deanne was a member of Extensions Youth Dance Company for 5 years where she performed regionally and at the Youth Arts Festival in Aberdeen, Scotland. ​Deanne has expanded her passion for movement, by gaining her Pilates Instructor Certification and holds classes outside of the studio as 'Defined Pilates'. She has combined her dance and pilates training, offering a technique strengthening class for our senior students. Deanne is proud to be back with the Ann Roberts studio that instilled her love and excitement for dance, as she hopes to do for her own students. Nikki Robinson originally from Townsville began her training at the Croft Gilchrest School of Dance at the age of 4. 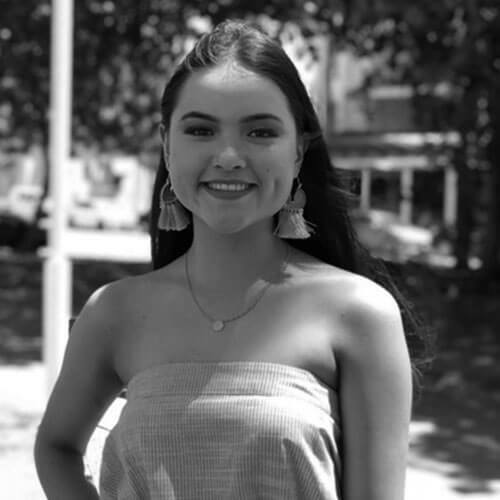 After completing grade 12, she moved to Brisbane and continued her studies at QUT Kelvin Grove, where she completed a Bachelor of Arts in Dance and Drama. During her studies, Nikki worked with choreographers Natalie Weir, Paul Mercurio, Grant McLay and Rosetta Cook, and performed in both professional and amateur musical productions such as the King and I, Cold Comfort Farm, Li’l Abner, To Kill a Mocking Bird and Sweet Charity. 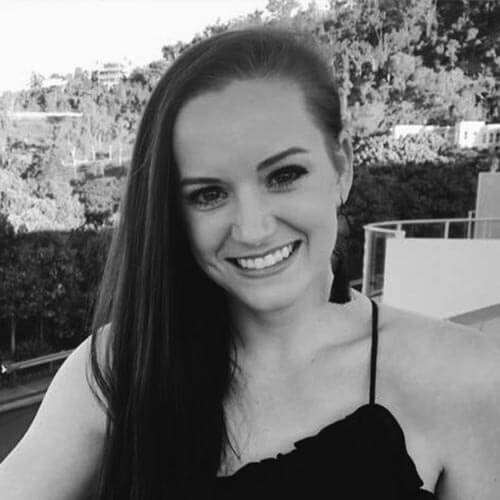 Whilst studying at Kelvin Grove, Nikki delved into the field of Lighting Design with the well-regarded David Walters and she completed her teachers in highland dancing with the Colleen Loon School of Highland and Irish Dancing in Brisbane. To further her experience, she moved to the Gold Coast where she participated in classes at Dance Headquarters and the Ransley Ballet and Dance Centre. Relocating to Melbourne, Nikki participated in classes with Chunky Moves, and attended external workshops with the Victorian College of Arts and Dance Factory. Nikki continued developing her acting skills by attending workshops under casting director Faith Martin, Screen Actors Australia and TAFTA (The Australian Film and Television Academy). Danielle started ballet at the age of 6 when living in Papua New Guinea with her family. On moving back to Melbourne, she started training at the National Theatre Ballet School where she eventually completed a 3 year Fulltime Advance Diploma of Arts (Classical Dance). In this time she performed many roles, including the title roles in “Giselle” and “Cinderella” and ‘The Sylph’ in “La Sylphide”. ​Danielle then left Australia and moved to Europe where she danced seasons with Ballet Ireland, Les Ballet Persans and Vienna Festival Ballet companies. She has been lucky in her professional dance career to perform with Melbourne Opera, Melbourne Theatre Company, Melbourne Symphony Orchestra and at many corporate events in the commercial dance world.​ Meeting her now husband whilst overseas, they moved back to Australia together and she began teaching at her previous school in Melbourne. Amanda commenced her first dance lessons in Townsville at age 3 and have trained in ballet, tap, highland, irish jazz and ballroom. She has always aspired to teach Highland Dancing and in 1998 obtained her first teaching qualifications. She then went on to complete all three highland dance teaching levels - elementary, intermediate and advanced. Over the years she has travelled and competed in competitions and eisteddfods in all forms of dance, however, two of her most memorable achievements are winning the Qld Highland Dancing Championships and competing in the prestigious Champion of Champions Championship. ​In addition to teaching highland dancing Amanda works full time and is a wife and mother to two wonderful children. Amanda says that she cannot imagine life without dance and still enjoy's participating in classes and performances whenever she can. Penny’s love for dance started at Ann Roberts at the age of 5. Beginning with tap lessons, followed by ballet and then finally jazz. Her passion continued into her teenage years, where she decided to follow her mother’s footsteps (Miss Debbie) and become a student teacher on a Saturday. This then led to studying a Bachelor of Primary Education at James Cook University and completing the ADA Elementary and Intermediate Jazz Teachers exams. Throughout Penny’s dancing life, she has performed in several eisteddfods, recitals, Ulysses performances and was fortunate enough to be chosen to perform in India at the age of 16 with Extensions Youth Dance Company. Born in the Burdekin, Lynda trained at The Dance House School of Dancing, training in RAD classical, FATD tap and jazz. Lynda Completed her elementary in classical. Lynda always had a passion to teach dance and choreograph from a young age. She currently teaches kinder ballet. Lynda is also heavily involved in Townsville Musical Theatre community. She has choreographed many musicals some including Spring Awakening, Legally Blonde and Rock of Ages. Choreographing musicals is one of Lynda’s passions as well as she also teaches movement/dance for Trinity Musical theatre exams. Lynda has also performed in Ulysses Dance Group for the past 7 years and had the privilege to travel to Aberdeen in 2015 to perform at the Aberdeen Youth Festival. ​With all that Lynda also runs her own salon Wild Lilly Hair. Manuel a self-taught hip hop teacher with a general knowledge across all the hip hop styles. Dance has always been a part of his youth with salsa and merengue in his home country, el salvador, before moving to Australia. During Manuel’s high school years, he focused on school sports such as rugby league, rugby union, soccer and AFL instead, since there was no dance at school. At the age of 19 he started learning hip hop by watching videos and attending workshops in Brisbane, where he learned different styles from Nacho Pop, B-Boy Katsu, and The Punisher. Manuel fell in love with dancing, especially with hip hop, that in 2008 joined Extensions Youth Dance Company, Capoeira Brasil, and La Luna’s “Manipulators” Group to learn more skills and improve the ones that he had. During his time with those groups he learned skills in solo and duo acrobatics, tumbling, and dance which helped him perform in numerous events and performances such as cabarets, Townsville 400 V8’s, indigenous dance, Greek festival, Palm creek folk Festival, Capoeira festivals in Sydney, and a modern version of Midsummer Night’s Dreams. In 2011 he was part of the Spindle Sideshow and was spotted by Debbie Clements who invited him as a guest to help with the all boys hip hop class, and he has never left. Now Manuel uses the skills that he learned to teach his students and help them develop their own rhythm and style. Grace has been dancing since the age of 4 and has been with Ann Roberts since the age of 8. In 2016, Grace received a distinction for her Advanced 2 RAD ballet exam as well as an honours plus in her bar to gold ADA jazz exam. 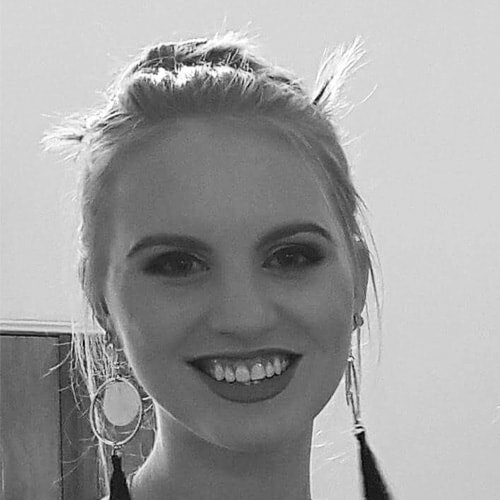 ​Grace started as a student teacher in 2015, teaching tiny tots ballet and kinder, pre-primary, and primary jazz. She has now progressed and teaches teeny tots, tiny tots, and pre-primary ballet, as well as kinder through to bar to gold jazz. Grace has been a member of Ulysses Dancers since 2013 and travelled with the group to Aberdeen in 2015 and will return this year as a senior dancer. Grace has a great time teaching the students of Ann Roberts and loves watching them develop into wonderful little dancers. She has always had a passion for teaching and sees it as a way of giving back to the school. Bronte started at Ann Roberts School of Dance before the age of 5, having an older sister already attending. Dancing has been so much more then an after school activity for Bronte. It grew from a dream, to a commitment, to numerous concerts, to practicing before school in the back yard, to a passion, a career, always giving her so much happiness. Dancing has created a platform for Bronte to move and expand in the world of creative arts and she is so thankful for her teachers and parents who gave her the opportunity to dance. ​Bronte completed many ballet, tap and jazz exams but performing was always the highlight for her. Now she teaches younger ballet classes, primary’s and tiny tots. She has also taught in other areas such as adult tap or the younger children’s jazz. Bronte is working towards gaining her teaching qualifications, while taking classes and studying. Dancing will be a life long journey. ​Lucy Fagez has always loved dancing and joined the Ann Robert’s School of Dance at the age of 10 in 2009. She values cultural heritage, feeling fortunate to practise highland dancing, which connects with her Scottish side. She particularly enjoys ballet and is part of Ulysses and the Shaughnettes. 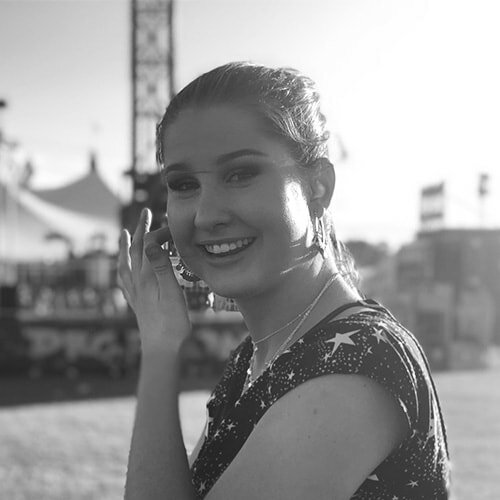 ​Upon return from a gap year attending a school in France (to connect with her French side), she is now a student at James Cook University and plays violin in Townsville’s Barrier Reef Orchestra. Anna has been dancing at The Ann Roberts School of Dance since the age of 4. Since then she has danced with the Queensland Ballet in their Senior Program, Brisbane Academy of Dance, reached the semi-finals of the 2016 Genée International Ballet Competition and the finals for the ADA championship for ballet and jazz. She received Junior Dancer of year at the Ann Roberts School of Dance in 2014, was a senior lead in the 2017 concert, along with studying solo seal and receiving distinctions in all ballet exams and honors with distinction for all of her jazz exams. Anna’s proclivity for helping others and dance has lead her into teaching ballet, jazz and contemporary. Her dancing background also explains why she has chosen to take up studies to become a physiotherapist. She is incredibly passionate about anatomy and physiology and has found it incredibly fascinating to study. At three years of age she squeezed into a leotard and a pair of ballet slippers, marched into the Ann Roberts School of Dance and she has been there ever since! Claudia has been fortunate to participate in their exams, eisteddfods and concerts and even had the privilege to travel with the Ulysses Dancers overseas to the Aberdeen Youth Festive in 2015. Also in that year she completed her Advanced 2 Ballet and Supreme Tap exams and has been a teacher for all ages in these two disciplines ever since. ​Claudia was awarded The Frankie Bliss Student of the Year in 2015 - the highest award given by the Ann Roberts School of Dance. ​Eliza joined the Ann Roberts Family in 2004 when she was 3 years old. She began with jazz and tap and completed her jazz exams from primary to bar to gold. Eliza started ballet in grade 3 and completed my exams from then to advanced 2. ​In 2015 she was given the opportunity to teach kinder and pre-primary, grade 1, grade 3 and primary and from here her love of teaching was found. Eliza has now been teaching at Ann Roberts School of Dance for 4 years and now teaches hip hop, jazz and ballet. 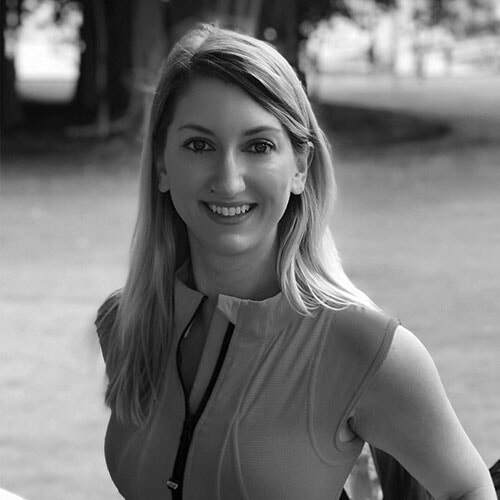 Born and raised in Townsville, Victoria began ballet at the age of 4 and quickly discovered her passion for dancing and started modern and highland at age 5. She joined the Ann Roberts School of Dance in 2009 and was offered the opportunity to become a student teacher in highland. In 2012, she completed all NDAA highland exams including solo and in 2013 Victoria attained her NDAA Elementary Highland Teaching Certificate. 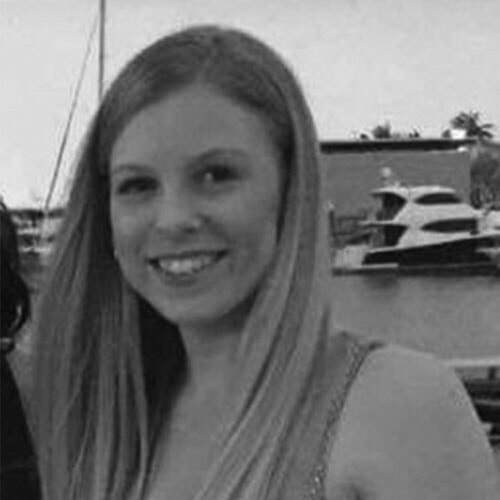 Born and raised in Townsville and following in the footsteps of her two older sisters, Julia joined Ann Roberts School of Dance as a tiny tot in 1999. She continued on, Julia has been a member of Ulysses Dancers and travelled with the company to Aberdeen, Scotland in 2015. Her love for teaching dance began in her early teenage years, assisting Miss Jane Pirani with kinder ballet on Saturday mornings. Julia now teaches tiny tots and a variety of Jazz levels. 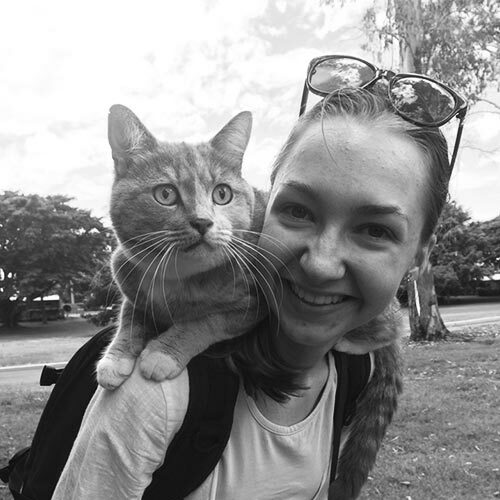 Away from dancing she is in her final year of a Bachelor of Laws at JCU and enjoys travelling and being immersed in different cultures. Lauren has been a member of the Ann Roberts family since 2004 and has completed her Advanced 1 and 2 RAD examinations with distinctions in 2016 at the age of 15 and her solo seal Award in 2017, age 16. Among her achievements, Lauren was a Semi-finalist and the Genee International in Portugal and a Finalist in the Genee Dance Challenge in Sydney. ​She has been awarded the title of Classical Ballet Champion in many eisteddfods across North Queensland and been a member of the Australian Ballet School ITP, Ulysses Dance Company and both Brisbane and Gold Coast City Company’s. 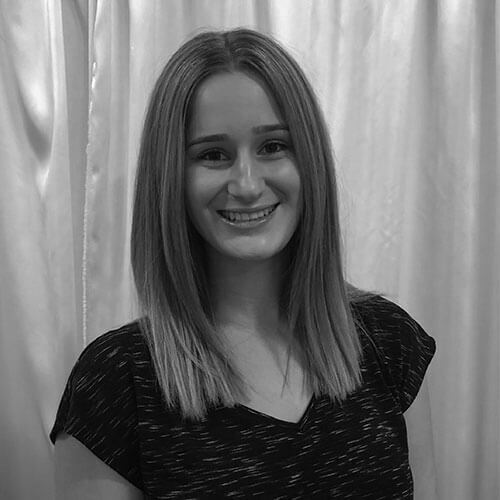 Lauren is now undertaking a teaching role in classical ballet, contemporary and pilates and looks forward to assisting students achieve their greatest potential in class and on the stage. Dancing has been Lauren’s passion since she was little; she went from nappies to her first leotard and by the age of five she was doing jazz, tap and ballet. 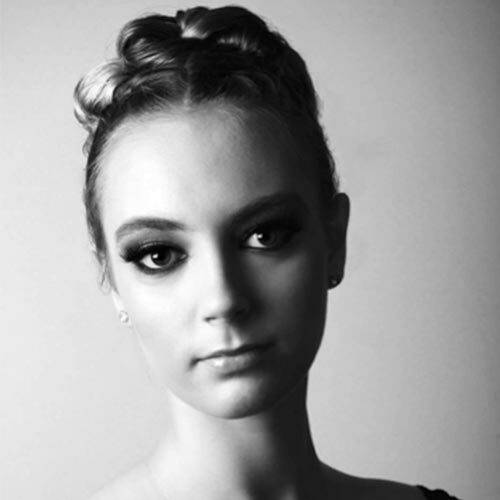 Lauren has always strived in pursuit of the arts and in 2017 she completed her AMEB grade 8 singing exam, Advanced 2 Ballet exam, Gold Tap and Jazz exams. Lauren teaches song and dance, which for her is a way to combine her passion for singing and dancing. ​Elise has been a part of the Ann Roberts family since she was three. She has completed her Advanced 1 exam with distinction and is currently studying for Advanced 2. Elise has completed most of the ADA Jazz examinations and is studying her second last exam in 2018. She has also been a member of the interstate program of Transit Dance. ​Throughout her time at this school Elise has had a love for teaching. Starting in 2015 she assisted Miss Alison in teaching grade 1 and 2 jazz. She loved it. Elise currently teaches tiny tots and ADA jazz kinder to grade 3. Elise is travelling as a senior member of Ulysses Dancers in 2018 to the Aberdeen Festival. 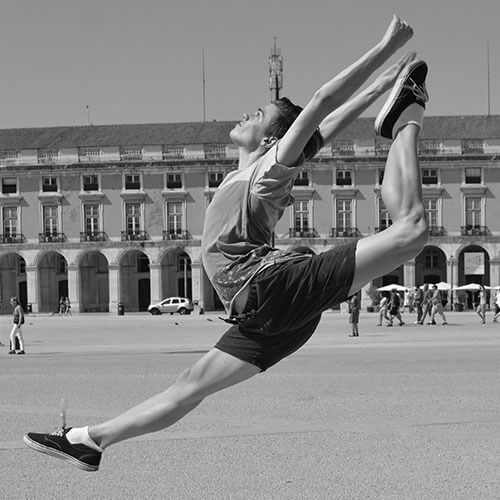 ​Dane Reid is a young male ballet/contemporary dancer, who has been a student teacher at Ann Roberts School of Dance since 2017. Beginning at the age of 4, he moved to Ann Roberts to refine his technique in 2011 and since then has achieved many awards, plaques and bursaries. In 2017 he won the Townsville Classical Ballet Championship. He strives to teach younger generations, communicating the skills and capabilities beneficial to the students. In 2017 he also sat for his solo seal exam and travelled to Portugal as a participant at the RAD Genee International Competition. 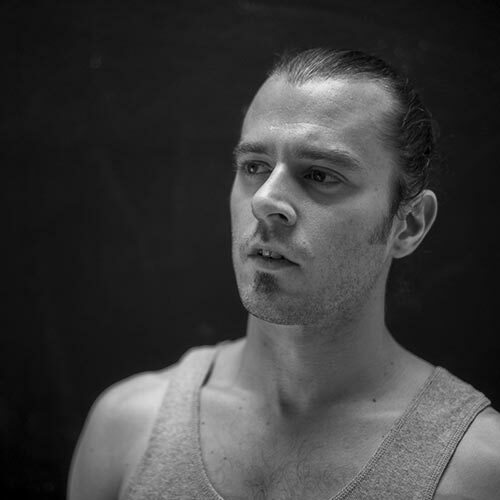 Lead creative of IVRE+MORT, Arts Project Atelier, Emmanuel has over ten years international experience in the performing arts industry as a dancer, performer, teacher and rehearsal director. ​After graduating from the New Zealand School of Dance in 2006, Manu took up a position in the Characters and Parades Department at Disneyland Resort Paris before travelling to the UK to take up an apprenticeship with Diversions The Dance Company of Wales then work with RanciDance in London for two seasons. Returning home to Australia in 2009, Manu performed the lead role in Ulysses Dancers season of Giselle in Townsville and was invited to perform as a guest with Compagnie Mado in New Caledonia for their season of Bijoux. ​In 2011, he took up a position with Footnote New Zealand Dance for four years allowing him to work with many of New Zealand’s most prominent choreographers, tour internationally to the USA, Germany, the UK, France and Belgium as well as choreograph Strive in collaboration with Levi Cameron and Jason Wright. Manu is also a regular collaborator with the Borderline Arts Ensemble, most notably 2017’s award winning season of Lobsters, has featured in 7 of the World of WearableArts Awards Shows, danced for Black Sheep Production's Everything Anyone Ever Wanted, toured with Atamira Dance for their international tour of PANGO and was rehearsal director for Taki Rua’s national tour of Tiki Taane Mahuta. ​Since initiating IVRE+MORT in 2016, Manu has produced Empathy Test, a solo experiential dance piece, as well as Appetite for Destruction, which is being developed into a full length piece and Forget to be Human, currently in development stages. At present, he is co-producing and rehearsal directing for projectMUSE with his partner Hannah Tasker-Poland. ​Lenore started at Ann Roberts School of Dance at the age of 6 learning ballet and tap. She advanced through the grades, passing her tap teachers exam at the age of 14. While teaching she also assisted in the office administration and when she retired from teaching in 2003, became the senior office administrator. ​Miss Roberts was training debutantes when Lenore made her debut at 17, and from then on she assisted Miss Roberts in this task. In 1969 Lenore took over the training of the debutantes from Miss Roberts, and has continued to train debutantes each year since that time. 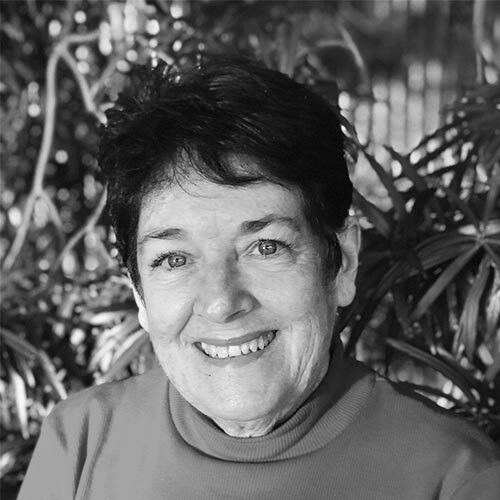 Miss Roberts also encouraged Lenore to join the Townsville Eisteddfod committee, of which she has been secretary for the past many years and is now a Life Member. Janelle began dancing at Ann Roberts as a tiny tot. Her mum, Maureen, had been taught by Miss Roberts as a young girl, and her Dad thought that ballet might help with her poise and co-ordination, and stop her being a complete klutz who constantly tripped over her own feet. Sadly, that was not the case! However, she continued with dance until finishing her ballet exams at age 19. Janelle’s daughters Hannah, Lucy and Eliza have also danced with Ann Roberts continuing the family tradition. Janelle’s real passion has always been singing and she has combined that talent with her dance training over many years of performing in musicals with the Townsville Choral Society and NQOMT. 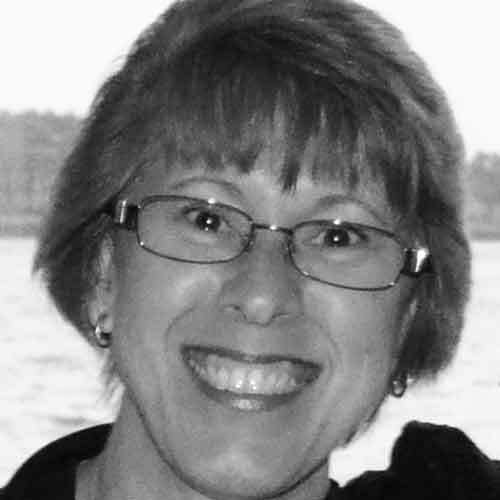 Janelle began teaching our song and dance classes in 2005, and joined our office staff in 2013. Sandy’s first involvement with the Ann Roberts School of Dancing was as a “Ballet Mum” when her daughter Paula started ballet class, now her granddaughter Emily is dancing with the school. 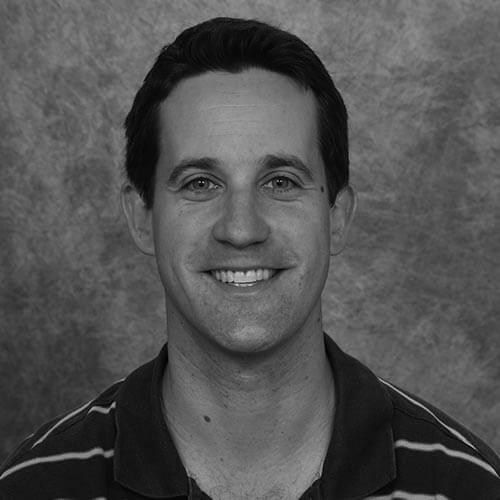 Sandy joined the admin team in 1997 and is mainly employed at the suburban studios. Sandy was also employed by the Royal Academy of Dance as doorkeeper for the Vocational Ballet Exams and put all students from the Townsville district into their exams. Sandy is also employed at the Civic Theatre as Front of House Manager. When she is not working Sandy enjoys spending time with her grandchildren, gardening, swimming and yoga. Sandy has always said she is proud to be a part of the Ann Roberts Family.